With people coming to him expressing their concerns about disasters and tragedies in the world, Ajahn Brahm talks about how to deal effectively with tragedy and loss in life. Ajahn Brahm explains the Buddhist path as developing deeper levels of happiness until the highest happiness is attained: Enlightenment. Ajahn Vayama guides a meditation for approximately thirty minutes. It was only Venerable Mudu's second visit to the Armadale Meditation Group's Tuesday evening session and as such, a most welcome surprise. Venerable started the evening by letting us know that he doesn’t really have a preferred method of meditation. In Venerable’s words “I really don’t have a fixed kind of meditation of step one, two, three and four. I roll them all into one, I sit down, shut-up and just watch what goes on in my mind”. Venerable does recognise that those of us new to or still learning, need guidance though. With that in mind Venerable related to us his experience when he first started to learn meditation techniques of breath and metta etc. On a nine day retreat when still a lay person, his view of daily life differed from what he is now learning. In this example he demonstrated how the simple mantra of “Make Peace Be Kind Be Gentle” helped him to overcome his conditioned response of self criticism. Venerable Mudu then led the group in meditation. Venerable started the meditation with a short body sweep giving thanks and being grateful to our bodies for the work they do each day. For the balance of the meditation we all went in search of the beautiful breath. After meditation Venerable continued his explanation of why we should meditate each day. 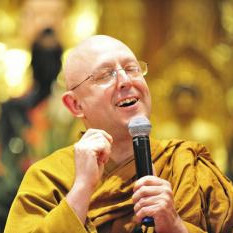 Venerable concluded the night with a joke he was asked to deliver to us by Ajahn Brahm. Everyone in attendance left relaxed and happy. This meditation is well suited to both beginners and experienced alike. you want, then type the title into the Podcast search box. Ajahn Vayama reflects upon the occasion upon which the Buddha gave his first teaching – the Dhammacakkappavattana Sutta – The Discourse on Setting In Motion The Wheel Of Dhamma. Ajahn Vayama discusses the circumstances around this first teaching of the Buddha and the meaning of that teaching. Sometimes it is difficult to be still during meditation. Venerable Hasapanna discusses the importance of developing wholesome daily habits to support our meditation. Many years ago, Venerable Hasapanna wanted to ordain as a nun in the Theravada tradition but the opportunity wasn't available. 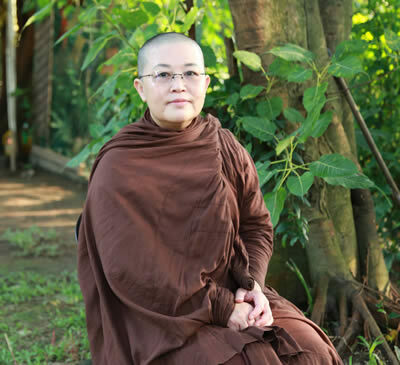 Fortunately Venerable Hasapanna is now reaching her 10th year as a fully ordained Theravadin Nun (Bhikkhuni). 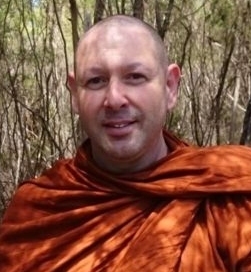 Full Theravadin Bhikkhuni ordination was arranged by Ajahn Brahmavamso 10 years ago to allow for equality. Venerable Hasapanna advocates equality and equity not just for women in Buddhism, but for many aspects of people's lives. Lastly Venerable also discusses how to deal with our perceptions of unfairness. Venerable Hasapanna guides a meditation for approximately thirty minutes. Guest Speaker Venerable Hue Can from the Vietnamese Zen tradition speaks about impermanence. Talk given during the rains retreat at Dhammaloka City Centre on the 24th August 2007. Ajahn Brahm gives us a deeper understanding of what true freedom - spiritual freedom - really is. On the occasion (in 2002) of coming out of a six month long silent meditation retreat, Ajahn Brahm shares part of that experience with the audience in this talk. 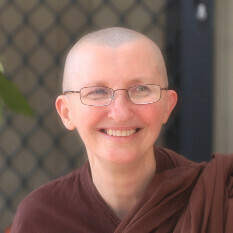 Ajahn Vayama exhorts us to practice in a way to see things as they really are, by connecting with the experience of the five external senses (the body) and the Three Characteristics of existence (impermanence, suffering, non-self). When visiting us at the Armadale Meditation Group, Ajahn Brahm always starts and ends the evening with humour. Tonight was no exception. Cleverly, Ajahn uses humour to bring us into the present moment. We are listening, we are focused, we are laughing and at ease. Forgotten are the troubles of the day, the plans for tomorrow. We are here in the present moment with Ajahn Brahm, listening intently to his jokes, funny stories and his instructions on meditation. Ajahn Brahm led us in a thirty minute meditation easily enjoyed by beginners and experienced meditators alike. To begin, Ajahn simply asks us to make ourselves comfortable and as much as possible to relax. Not a traditional body sweep. Ajahn then progresses us to simply dealing with what is in front of us, rather than trying to suppress or dismiss our thoughts. Instead, encouraging us to focus on the silence between thoughts. As we practice this, the silence between thoughts gets longer. After meditation Ajahn opened to questions. Several of the questions are those many of us face. Ajahn Vayama helps us to ground our minds in the reality of the present moment through mindfulness of the body. What should we do when we have thoughts, especially negative ones coming into our mind? Ajahn Brahm says that the more we try to get rid of them, the stronger they'll persist. Instead he encourages us to investigate the source of those thoughts. The Buddhist Society of WA has encountered many occasions where something seemed unattainable, such as building the monks' monastery and the nuns' monastery, but we were able to make the impossible a reality. Ajahn Brahm inspires us to just give it a try and says, "Any place where there is negativity, there is always a place where you can get great wisdom."